Born in 1963, Chestnut started his musical career at the age of six, playing piano at Mount Calvary Baptist Church in hometown of Baltimore. By age nine, he was studying classical music at Peabody Institute. In 1985, Chestnut earned a degree in Jazz composition and arranging from Boston’s renowned Berklee College of Music. While at Berklee, Chestnut was awarded the Eubie Blake Fellowship, the Oscar Peterson Scholarship, the Quincy Jones Scholarship, and The Basie Award. He then began working as a sideman with some of the leading players in the music including Michael Carvin, Donald Harrison & Terence Blanchard, Wynton Marsalis, Freddie Hubbard, Branford Marsalis, Frank Morgan, Lauryn Hill Chick Corea, Dizzy Gillespie, George Adams, James Moody, as well as vocalists Jon Hendricks, Joe Williams and Betty Carter. His association with Carter, which began in ’91, significantly affected his outlook and approach to music, confirming his already iconoclastic instincts. Carter advised him to “take chances” and “play things I’ve never heard,” Chestnut says. As Chestnut was absorbing experiences as a sideman, he was also developing as a leader, recording and playing live around the world. There’s a Brighter Day Comin’ was his first self-released album, followed by The Nutman Speaks (1991), The Nutman Speaks Again (1991), Nut (1992), and Another Direction (1993) (all on Alfa and/or Evidence). The latter two each received the Gold Disc award from Japan’s leading Jazz publication, Swing Journal. In 1993, Chestnut signed with Atlantic Records, releasing the critically-acclaimed Revelation (1994), followed by The Dark Before The Dawn (1995), Blessed Quietness, A Collection of Hymns, Spirituals, and Christmas Carols (1996), Earth Stories (1996) and Cyrus Chestnut (1998). In 2000, Chestnut collaborated with Vanessa Williams, Brian McKnight, The Manhattan Transfer and The Boys’ Choir of Harlem on A Charlie Brown Christmas. In 2001, he released Soul Food featuring bassist Christian McBride, drummer Lewis Nash and special guest soloists including James Carter, Stefon Harris, Wycliffe Gordon and Marcus Printup. This acclaimed album was included in Down Beat’s list of the best records of 2002 and ascended to “Top 10” on the Jazz Charts. His next CD, this time for Warner Records, was You are my sunshine, released in 2003, and was followed by Genuine Chestnut, published by Telark Records in 2006. Cyrus plays Elvis, on Coch Records, saw the light in late 2007, and features Chestnut’s versions of the songs made famous by Elvis Presley. The next two records were done for Jazz Legacy Productions: Spirit (2009) and Journey (2010). 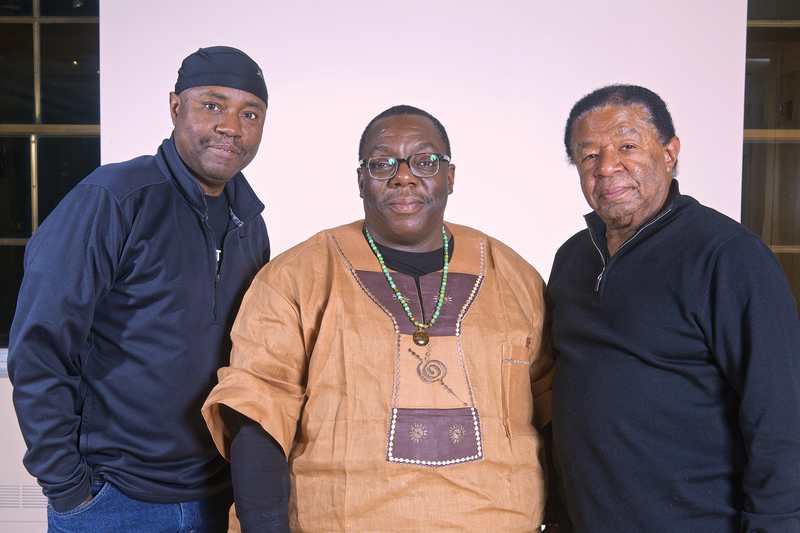 Willie Jones’ label, WJ3, produced The Cyrus Chestnut Quartet in 2012. Chestnut has also performed and/or recorded with Kathleen Battle, Freddy Cole, Bette Midler, Jimmy Scott, Isaac Hayes and Kevin Mahogany. His leadership and prowess as a soloist has also led him to be a first call for the piano chair in many big bands including the Lincoln Center Jazz Orchestra, Dizzy Gillespie Big Band, and Carnegie Hall Jazz Orchestra. He made his cinematic acting debut as a Count Basie inspired pianist in Robert Altman’s film, Kansas City.